Every September, antique car owners from across the nation come to SE Iowa. 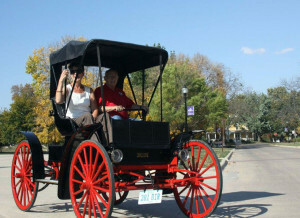 The Red Flag Road Race celebrates the end of the 14 mph speed limit and the requirement to have a person proceed the “horseless carriage” carrying a red flag to warn horse drawn traffic. 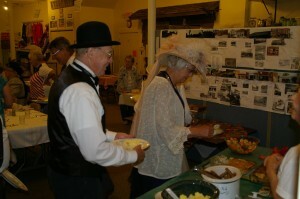 Dover Museum hosts the drivers and organizers for breakfast the day of the race. It is always good to see the old cars and the costumes. They had a great introduction of the cars and send off from the New London City Park. The cars then “race” to Brighton, Iowa to end the week of celebration. A wonderful example of small town Iowa fun. The tour consists mostly of cars manufactured before 1915. There is a category for vehicles made until 1927 and beyond — including antique motorcycles. 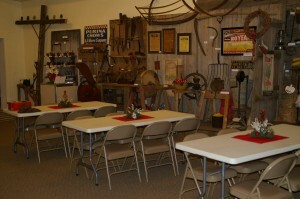 Every first Saturday in December, Dover Museum and Depot opens for the Holiday Stroll. We are famous for our chicken sandwiches. Our volunteers cook chicken, save the broth and then our kitchen is busy Saturday morning creating the delicious chicken filling. 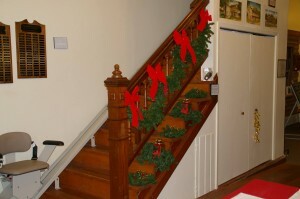 The museum is decorated for Christmas. 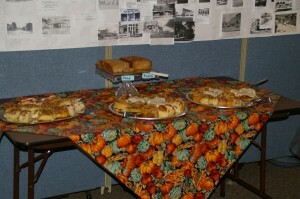 The Depot opens and has a model train running for visitors to enjoy.